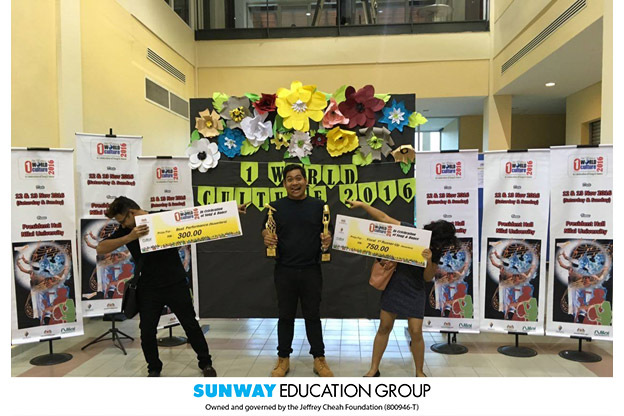 Sunway College was proudly represented together with a host of other government and private universities in a Vocal and Dance Competition organised by MOHE in collaboration with Nilai University. The event was held at Nilai University on 12 November 2016. 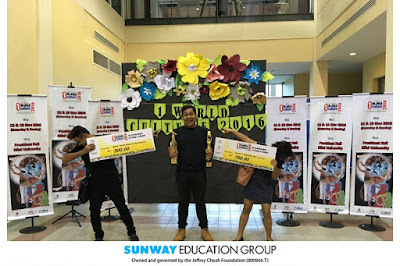 The competition aimed to bring International students together to appreciate what Malaysia has to offer. Targeting students of the Monash University Foundation Year (MUFY) program, the School of Arts and Social Sciences organised a contest - the ‘Monash Arts Scholarship Contest for MUFY Students’ on the 24th of September 2016, in order to intrigue and nurture students’ interests in pursuing an education in the field of arts and social sciences. 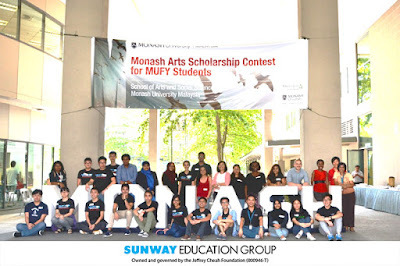 The MUFY participants stood the chance to win a scholarship to pursue an undergraduate degree with the School of Arts and Social Sciences in Monash University Malaysia. 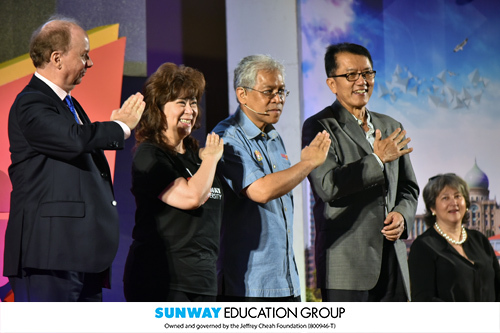 The Soaring Upwards 2016: Let's Talk Higher Education, by the Ministry of Higher Education Malaysia took place at Jeffrey Cheah Hall, Sunway University last Saturday with a full house. 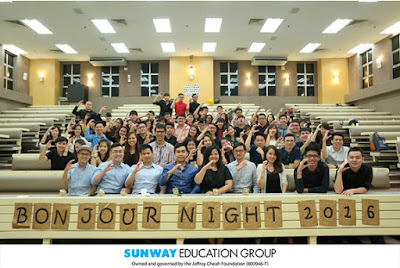 Sunway University was honoured to be the host for this event, thus as a wrap-up of the event for this year. The programme was hosted by the Minister, Dato’ Seri Idris Jusoh in disseminating information on higher education in Malaysia as well as successes that have been achieved at national and international levels. 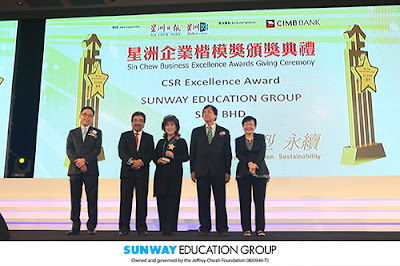 SCSC Wins the Most Outstanding Club & Society – Grand Prize Award -AGAIN!. 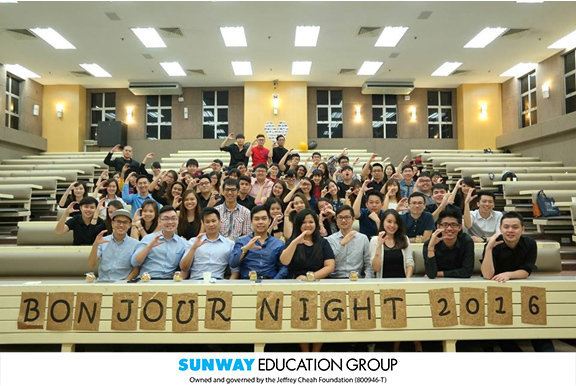 The members of Sunway CPA Australia Student Charter (SCSC) were elated to know that the club has successfully bagged the Most Outstanding Club & Society- Grand Prize Award at the C&S Appreciation Ceremony organized by Sunway Student Service Department on Nov 17, 2016. It was the second year running for SCSC in winning this award and the members are indeed delighted by this achievement. On Saturday, 19th of November a team of 7 CIMP students ran the 24 hour race supported by SUKA Society. It was held at IGB International School in Sungai Buloh. Buona Vista's team leader, Nicholas Yap, helped to lead the team to the end. Other members included, Swarna Selvaraja, Luqmaan Khan, Joshua Alfred Myat, Marian Yeow, Vaibhav Malu and Pua Yen Li. 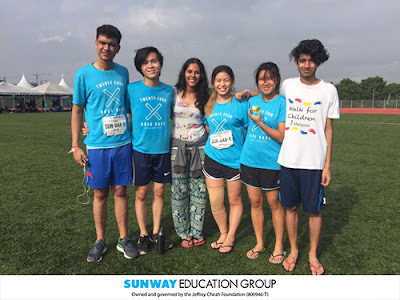 Prior to the race, the team had to raise a total of RM 2000 as donation funds to the 24 Hour Race group in order to register and all money raised and collected would go to stopping human trafficking and slavery and raising awareness for the cause. The first fundraiser held was a water balloon event. Selected CIMP teachers would be voted in by students who had to pay to keep their teacher on the leaderboard. The top 5 teachers were to be struck with a water ballooned on the day of the event, with each bucket filled with water balloons sold at an auctioned price to the highest bidders. 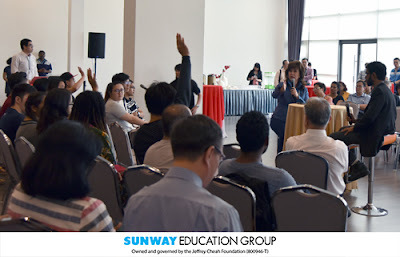 The event raised a considerable amount of money for the team and was largely successful due to the cooperation and support received by the teachers for volunteering and students for voting. Our second event, was an open mic held at W_are_house, a small cute cafe in USJ dedicated for open mic events. We had invited several feature artists and other CIMP performers to sing and showcase their talents! A good turnout of a crowd made the event a successful one and definitely memorable for the audience. Lastly, our third and final fundraiser was a bake sale. Each team member brought baked goods and it was sold at very reasonable prices for very delicious goods! In total, we managed to raise RM 2050 on the dot! Tan Sri Jeffrey Cheah, founder and Chairman of the Sunway Group donated RM100,000 from the Jeffrey Cheah Foundation (JCF) to Dato’ Dr Ahmad Faizal Mohd Perdaus, President of MERCY Malaysia in support of its humanitarian causes in the presence of His Royal Highness Sultan Dr Nazrin Muizzuddin Shah, the Sultan of Perak at the conclusion of the Mercy Malaysia 4th HRH Sultan Nazrin Shah Lecture Series which was held at Sunway University. 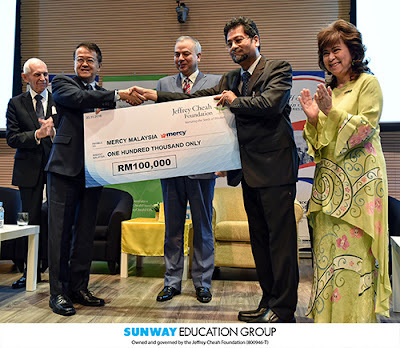 Tan Sri Jeffrey Cheah handing the cheque to Dato’ Dr Ahmad Faizal Mohd Perdaus, witnessed by His Royal Highness Sultan Dr Nazrin Muizzuddin Shah. 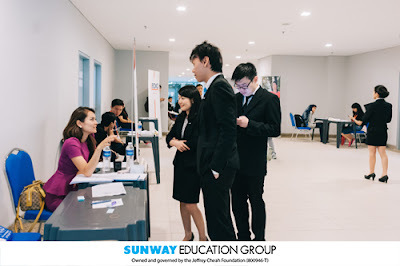 Looking on are His Excellency Ambassador William Lacy Swing, Director General of the International Organization for Migration (IOM) and Dr Elizabeth Lee, Senior Executive Director of the Sunway Education Group and Sunway University. The Sunway Education Group (SEG) successfully held its second town hall meeting - “Let’s have a cuppa coffee with Dr Elizabeth Lee” late November. During the meeting, various issues were raised and potential solutions addressed. Students were very eager to provide their feedbacks during the meeting.